Westpac has added two new non-executive directors to its board to become members of the board risk and compliance committee upon their appointments. Margaret Seale and former Morgan Stanley Australia CEO Steven Harker have been appointed, to be effective 1 March. Mr Harker was formerly managing director and CEO of Morgan Stanley Australia from 1998 to 2016 and had been vice chairman since then, with his term to end this month. “We are delighted to welcome such high-quality directors in Margie and Steve, who will add significant skills and experience to the board,” Lindsay Maxstead, chairman, Westpac said. “Margie’s executive and non-executive career to date means that, amongst other capabilities, she will bring valuable insights about how businesses can respond to digital disruption. Mr Harker is currently a director The Banking and Finance Oath, The Hunger Project Australia and ASX Refinitiv Charity Foundation, along with being governor and treasurer of Ascham School. He has previously served on the boards of Investa Property Group and the Australian Financial Markets Association. Prior to joining Morgan Stanley, Mr Harker spent 15 years with Barclays de Zoete Wedd (BZW, now Barclays Investment Bank). Ms Seale is currently a non-executive director of Spectre Group, Telstra and Australian Pacific (Holdings). She has previously served on a number of boards including Ramsay Health Care, Bank of Queensland, Penguin Random House (as a non-executive director and then chair), the Australian Publishers’ Association and Chief Executive Women. 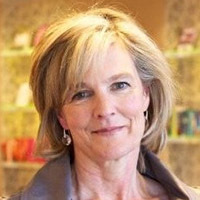 Prior to commencing her non-executive career, Ms Seale was managing director of Random House Australia and New Zealand and was president, Asia development for Random House globally.